Back in early February, W+K unveiled its full-length Super Bowl ad starring Amy Schumer and Seth Rogen, launching “The Bud Light Party” campaign with a spot that was a little disappointing given that it starred the writers of Superbad and Trainwreck. It’s a nice sentiment, if not exactly a bold stance for a brand to take in 2016. But we wonder what it does for the brand beyond aligning it with an inclusive and now very safe message. Rogen and Schumer spend the spot listing things all weddings share in common: “cringe-worthy speeches,” “girl who’s super ready to settle down” and, of course, cake. Another thing all weddings share in common: affordable alcohol. 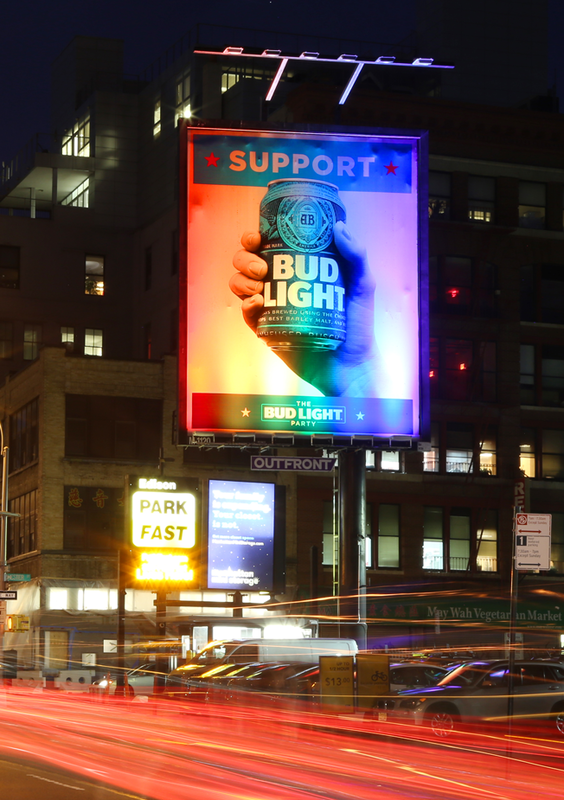 In addition to the spot, which will make its broadcast debut today, the campaign will also feature two rainbow-lit billboards, running in New York and Los Angeles for the month of June. There’s also a social media push (of course) and support from influencers, including GLAAD and Ellen DeGeneres.